This is my eighth summer visiting Maine. No, I don’t have a summerhouse here, but all my kids go to camp in Maine, so once a year we pack up, load it all into the truck, and head up north. 1. The scent of pine and brine. It’s a unique combination of pinewoods and ocean and marsh air. And since it’s usually chilly, damp, and foggy, it’s kind of like being sprayed in the face with an aromatherapy atomizer…that’s a good thing. 2. Lobster, of course. You really haven’t tasted lobster until you’ve tasted it in Maine, in one—any one, really—of those on-the-water lobster houses, where it doesn’t matter how much of a mess you make because the seagulls will clean it up afterwards. Fresh lobster is silky, salty, and tender. However, the most I can take is three lobster meals in a row and then I have to switch to something else for a few days. 3. The Clam Shack. You have to get to the Clam Shack in Kennebunkport early, or at least on your last day. They fight for the top lobster roll spot with Red’s Eats in Wiscasset, but I vote for the Clam Shack—even though the Bush’s are fans as well. It’s just lobster and butter in a toasted bun, eaten on the street. Yum. 4. It’s the only place I’ve seen where WASPs and hippies truly, happily cohabit. Seriously, it’s hard to tell who dominates here. Maybe WASPs were here first, and it’s still a Republican state, but hippies are just part of the fabric, and you can’t go a mile without seeing an organic farm stand or some other sign of hippie life, such as an old station wagon with peace stickers all over it. 5. There are more cars with bikes and boats attached than tractor-trailer trucks. They don’t call it the Vacationland State for nothing—there are active folks all over the place having outdoor adventures. I’d be doing that, too, if it wasn’t so dang cold all the time. 6. Fore Street Restaurant in Portland. We have reservations tomorrow night! After a few meals of lobster and french fries, you want nothing more than some wood-fire-cooked meats and plates of delicious in-season organic vegetables cooked to perfection. Along with a good salad! I can’t wait. 7. Freeport—home of L.L. Bean and outlets galore. I am not an outlet shopper in general, but you know it’s bad when even I buy cheap shirts at the Abercrombie and Fitch outlet, which my 12-year-old MADE me go into. L.L. Bean has turned into a huge conglomeration of stores for whatever outdoor sport you are into. Worth a visit for sure. By the way, you can buy an umbrella stroller at the Rite Aid by the parking lot. This was the second year in a row we forgot ours. 8. Needlepointing. I have been working on the same needlepoint piece for eight years, partly because I need the right weather to enjoy it properly. It should either be snowing with a fire in the fireplace, or it should be classic Maine weather—damp, cool, foggy, rainy, and not really worth venturing out into. 9. The Inn at Hidden Pond. We have stayed in so many places over the years—horrible bed and breakfasts, even worse motels, charming and upscale little inns in big mansions, and even (gasp!) campgrounds. We’ve stayed at nice places like the White Barn and the Inn at Sunrise Point. But finally, there is a place that is fairly perfect. Hidden Pond has individual two-bedroom houses with kitchens, and it has the four essential ingredients of a great hotel: 1. Great beds. 2. Really good coffee and plenty of it. 3. Windows that open. And finally, 4. An outdoor shower. We’ll definitely come back here. Even the kids love it. 10. Antiques. I don’t know how so many great antiques show up in Maine, but they sure do. It’s a veritable treasure trove of unique, fabulous, and fun shopping. But here is a lesson I have learned twice on this trip…if you see it and you love it, buy it because it WON’T be there next year when you go back to find it. This year I bought a 19th-century Burmese painted wooden deer head to go with my weird wooden animal head collection. I can’t wait to get home and see how it looks with all the others. Last year in the same town (Wiscasset), I bought a snarling, sniveling painted boar’s head from the 1800s. Ahhh, I just love Maine. At “Antiques on 9” in Kennebunkport, I bought a lot of stuff. But my best find was a longtime fan of organic, who even has a green Prius with an OR6ANIC license plate! I forgot to mention how much I love the lupines, which are only in bloom in June and early July. #6 made me salivate. YUM! I’ve only been to the Bar Harbor/Acadia area, but can’t wait to visit these places one day! Sooo wonderful to meet you today in Maine! Im the one with the “OR6ANIC” License plate. Really wonderful to meet a real organic person and your daughter was delightful!!! Love her name! Maine is great! 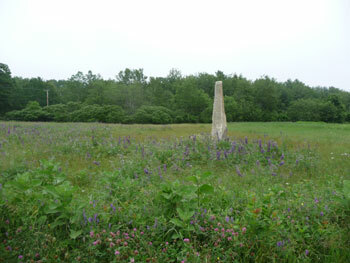 MOFGA is the largest and oldest in the country! When are you moving to Maine? Hope you enjoy you chicken lamp and the lighthouse toy. The best in the store. Isnt Antiques on Nine wonderful, I say, Welcome to Alice in Wonderland, you have just entered the rabbit hole! I must have you over for some Whole wheat organic (of course!) pizza. I have a wood-burning (from Italy) oven in my house, and i can send you to foodie heaven! im so happy you love Maine! Horrible B & B’s??? Please visit ours on your next trip to Southern Maine: http://www.cristinasbedandbreakfast.com Camp Ellis Beach, Saco. Thank you for this! It brought back a lot of nostalgia. I lived in Bangor for 2 years in the 1990s. Up there, it’s perceived to be a little different than in Southern Maine…but your comments would ring as true to someone from Calais as from Cape Elizabeth. It’s a little unfair to send that picture of the tarts to us back in Emmaus, I practically drooled all over my keyboard when I saw it. Luckily the cafe here at Rodale News HQ has blueberry-lemon cupcakes today. If you are still in Kennebunkport on Saturday, July 4, check out the School Around Us Craft Fair on the Green for some amazing handmade Maine crafts. I about woke the office up with my shouted Laugh Out Loud at your eight-year old needlepoint..I think I have you beat – mine’s from 1992…still not done! Lastly, try to squeeze in a visit to the Project Puffin Visitor Center in Rockland, Maine…bet you’ve never stuck your hand in a puffins burrow! Thanks so much, we are going to Maine this summer for the first time. I already had planned on L.L. Bean! I want to put the family in the car and head north! 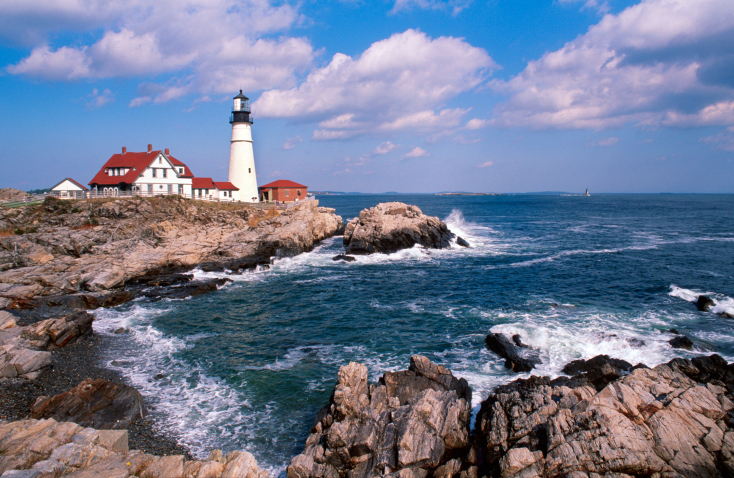 Maine is one state that we haven’t visited yet…I am definitely intrigued and can feel it calling…. Yes to the entire list. 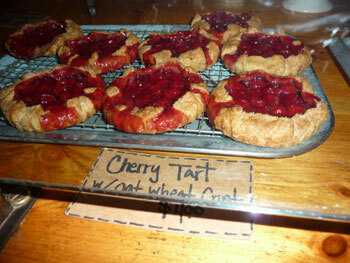 We love it too, and our visits vary from the beaches and islands, to the lakes, to Portland. Well, Maria how very open minded of you. What a disgusting comment. In 2000, my husband and I went on our honeymoon to the New England states-all but Vermont. We stayed in Ogunquit Me the last 2 days. We fell in love! In 2001 we went to Ogunquit for a week. In 2006 we had a wedding in Long Island NY, so we continued to Me for just a 3 day trip. We have been all over southern Maine and there is just no place more beautiful! When staying in Ogunquit, you walk along the Marginal Way which overlooks the ocean. Breathtaking! Ending up in Perkins Cove is just a wonderful walk which ends with a meal @ jackies too, or Amore breakfast, and countless other places. Oh…..to be back there now!!!!!!! As a former resident of E Holden Me for 20 years Its a great place to visit but the winters are great in AZ try Lunts lobstor pound in Trenton thier great. My wife a midwest girl fell in love the first time their and didnt believe clam chowder was supose to taste like the a salt marsh will be there in July for a long weekend with family and soaking up some salt air. San Diego aint the same. I was so appalled by your first statement I miss the second. I would like you to know that democrats do NOT have the lock down on things organic, hippie, natural or God forbid -naturalist, or any other eco minded thing you would like to lay claims to, though I am sure that they love to tout that as their policy. I do not agree with some agendas in the GOP, but I also know what hypocritical things the democrats do behind the observation of the public. Just ask Kentuckians how lovely Al Gore was for all his eco spew. Strip mining on his land polluting the rivers from the sediment vs Bush and cistern water collection and passive solar on his house. Hey CW! I am not making any claims on anything other than what I like, what I believe and who I am. I like democrats and republicans. I like wasps and hippies. But I like nature most of all (after my own family, of course). Can’t we come up with some new political parties, and new ways to talk about our similarities and differences? Why can’t people leave politics and religion out of things? It seems to always come down to that. Everyone needs to calm down and stop getting so hyper about these political reps because when you really get down to it, few to none really care about YOU or your FAMILY so stop acting as if these people are your GOD! Let us all be able to make a simple comment without always reading something negative into it shall we? Let us all agree to be able to disagree. Speaking of Maine. I have been trying to get my husband, who’s European to discover more places in America, and Maine has always been a place I wanted to visit. New England has always held a special place in my heart, not because of anything that I’ve experienced there, or some life event that has taken place, but purely from a historical perspective. I’ve visited several NE states in the past but, never ME. Maria you are unfair to talk lobster rolls and show those lovely tarts! I’m drooling too! I can smell the air and taste the food and dream of misty days sitting by a big fire and snow on the branches of the evergreen trees. I love winter too! Thanks Maria and your other readers for the tips as to where to stay and shop when visiting. I am looking forward to visiting in the near future. I’m on my way to Ireland, Scotland, Germany & Switzerland (been there, done that) but I’d rather be in New England. Thank you for the kind words about our resort and lovely home state! It was a pleasure to make your stay as comfortable and enjoyable as possibly — we hope to see you, Lou and the kids back next season (we’ll put in a request for better weather ahead of time)! Thanks for your list. I grew up in Mexico, Maine, which is in the western mountains and lakes region. You should plan a trip inland sometime. It is really beautiful. Try the Rangeley Lakes region. Great places to stay and eat and play. Lots of moose and other wildlife to see. I agree with your statement in #4 except about Maine being a Republican state. I took no offense, only laughed out loud. Maine is filled with “Independents,” people who have their own minds about so many things. Just look at how many Independent governors we have elected over the years. Thanks again for highlighting the state. It is a great place. And not always as cold, rainy and foggy as this year. I love reading your blog Maria! CW needs to chill out, and get a life. 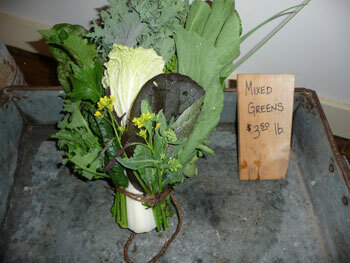 Out here in rural Oregon, we’ve been running an organic farm and nursery for almost 20 years. Our neighbors are hard working loggers, mill workers, and ranchers. I think back to when we first moved here, and we were seen as the outsiders, the weirdo’s who planted a field of garlic instead of putting cattle on it! But now our farm is seen as a valuable part of the community. People are always stopping by for gardening tips, or to pick up a few plants. I’ve made good friends that I never would have met if I had not reached outside of my “bubble”. I’ve noticed that good food and gardening are places where we can connect. They can be a bridge,or an ice breaker for people who have very different backgrounds, or political beliefs. We all share recipes, and gardening tips, and have a desire to provide our families with the best food we can grow. And we are constantly learning that we are more the same than we are different! Kate- I have a nice life thank you. And I was commenting on your comments Marie. You made the statements in 3 & 4 that appantly you don’t embrace having the same preferences as the Bush’s even in something so benigne as a crab roll place and that WASP’s and Hippies are different people. I know many many many that would qualify as both. You started with the cataogories. Thank you Maria for expressing my thoughts about my recent visit to maine exactly as I would have! It was mine and my husbands first visit to Maine and hopefully not our last. We were celebrating our 25th wedding anniversary with a 3 week trip to the east coast ending up in Maine. Now I must say the weather was not good the whole 3 weeks, and most especially in Maine, but it did not bother me and I still found Maine to be so beautiful! We too stayed at the Hidden Pond and found it to be our favorite of our whole trip and in the top 5 of places we have stayed all around the world over 30 years of traveling. I want to move there!!! You have them to thank for finding your blog, which I love. I was comparing clam chowder and lobster rolls wherever we went, starting in the Hampton’s, on to Nantucket and Martha’s Vineyard, continuing on to Cape Cod and ending up in Kennebunkport. My favorite lobster roll was at Pier 77 in Cape Porpoise and my favorite clam chowder was at the Arundel Wharf restaurant in Kennebunkport. the best blueberry dessert I have ever had was also at the Pier 77 restaurant!!! I am going to try and get the recipe for it, hopefully they will love to give it to me. CW take a chill pill and go to S. Maine!!! Yes, it’s a wonderful place. It’s home and I long to be there again someday. I left because … I forget. Oh well, but I hope to return once again. It’s never very far from my thoughts, especially during these miserable Florida summers. Ugh! What? Can’t go home again? We’ll see …. 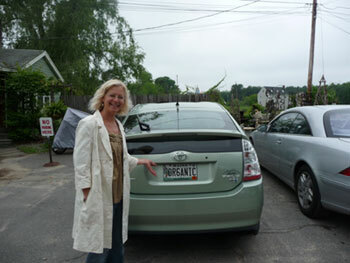 Liked the green ORGANIC Prius, my green Prius was the third one bought in Maine and once had the license plate ENVIRON. If you knit … get Maine Woods Woolies.